Are People in Your Neighborhood Going Hungry? 43 million Americans are going hungry. Can you tell who in your neighborhood is going without food? 1 in every 8 people you pass by on the street could be missing meals. 1 in 8 Americans go hungry every day. 1 in 6 children in the United States don’t have enough to eat. 1 in 12 seniors in the U.S. struggle to access enough food. Feeding America provides an interactive map of food insecurity in the United States. Check out your district to see how you compare to others. Is your neighborhood hungry? What can you to do change that? How can we make this better? Donate Food. Find a local food bank that’s collecting food. Check their website or call and ask what food items they need, but them and deliver them to the food bank. Make sure to check their hours for accepting donations. Start a Food Drive. Move for Hunger has great information on how to set up a food drive in your area. Check out their tops, find a great location and get your community involved. Fundraise. Create an online fundraiser and get others involved in raising money for charities solving hunger issues. You can set one up in minutes on JustGive and post your appeal on social media to get your friends and family involved. When someone asks what’s on your holiday gift list, tell them gifts of charity for the hungry would mean the most to you. Volunteer. Find a local food banks, soup kitchen or rescue mission serving meals and collecting food. Find a few and call around to see who can use the help and set up a time to go. Their need is ongoing; offer to help as often as you can. $35 to No Kid Hungry helps children get 350 meals. $55 provides 550 meals through Feeding America’s nationwide network. $70 delivers meals to 10 seniors though Meals on Wheels. Let’s take action today and do something for the more than 43 million Americans who don’t have enough food to eat . . . so no one goes hungry. Each Thanksgiving, my family makes it a priority to have dinner together. 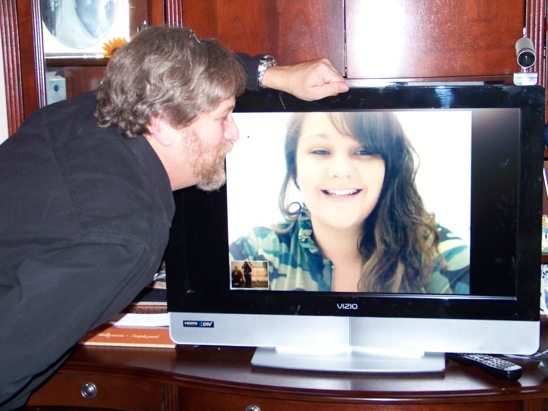 Even when I was living abroad for my first holiday away from home, my dad booted up Skype so that I could join in the festivities virtually. For us, it’s not just the meal that’s important. It’s taking time off of work, turning off our cell phones, and coming together in one place. We start by going around the table and saying what we are most grateful for. It is never difficult to think of or name our blessings—the most obvious of which is the food in front of us. It gives us a way to celebrate while satisfying our basic human need. At Thanksgiving, more than any other time, it’s obvious there is enough food to go around. (And around and around.) While our own family’s table bursts at the seam with turkey, stuffing, and pumpkin pie, I know there are many in my own backyard of San Francisco going to sleep hungry and cold. And the number of homeless and hungry families is only growing with unemployment at a staggering 9.1 percent. That’s nearly 14 million Americans. This Thanksgiving season, my appeal is simple. Fill someone else’s belly. Give – Donate to organizations that feed the hungry every day. Share Our Strength: $35 = feed a child 3 meals a day for over a month. Volunteer – Make it part of your family tradition to visit a soup kitchen or shelter or help out at a food bank, and combine spending time together with doing something meaningful. Click on The Hunger Site – Bookmark the page, click daily, and sponsors pay for food. However you choose to contribute, make it last. Volunteer throughout the year or consider making your donation monthly recurring. In these tough times, it’s no secret that hunger is an everyday problem for many. >>Like us on Facebook for more tips and ideas on how you can give back during the holidays. >>Visit JustGive for tips on Other Ways to Give.